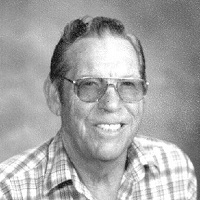 Travis L. Smith, 85, of Abilene, passed away on Monday, June 15th, 2015 in a Houston hospital after an extended illness. Visitation will be from 5:00 to 7:00 pm on Monday, June 22nd, 2015 at The Hamil Family Funeral, 6449 Buffalo Gap Road. Funeral services will be held at 1:30 pm on Tuesday, June 23rd, 2015 at South Side Baptist Church with Pastor Mark Hewitt, Executive Director of Love and Care Ministries, officiating. Burial will follow at McBee Cemetery near Lawn, Texas. Travis was born in Lawn, Texas to Lance and Willie Mae Smith on January 12, 1930. He graduated from Lawn High School, served in the Air Force and later obtained his undergraduate degree from Hardin Simmons University and his Masters in Business Administration from University of North Texas. He married Mary Sue Jones in May of 1955 in Abilene. He had a strong love for his family, a passion for machinery, a talent for freshwater fishing and a knack for remembering and telling jokes. His professional specialty was being an automotive mechanic. He worked as a mechanic for a car dealership in Abilene before becoming the Automotive Technology Instructor at Abilene High School for over 30 years. In 1974, he was the Abilene Classroom Teachers Association President representing teachers in the AISD at state and national conventions. He also led two student teams to the national finals of the Plymouth Troubleshooting Contest. After retirement from teaching, he found a way to continue his passion and involvement in the automobile repair business by becoming an independent representative of extended warranty companies which he did for the last 15 years of his life up until January 2015. He was a wonderful father, a loyal friend and a dedicated husband and son taking care of his wife and his mother during the last years of their lives. Travis was preceded in death by his parents; his wife; and a brother, Delmon Smith. Travis is survived by his son, Alan and his wife Michelle of Houston; two brothers and their spouses, Tom and Patricia Smith of Bakersfield, CA and Roland and Melody Smith of Bryan; a sister-in-law, Joretta Smith of Lawn; and two grandchildren, Tiffany Grace and Kendall Faith. Pallbearers will be Richard Baxter, Mark Hudson, Mark McCarty, Mike Petersen, Steve Smith and Lannie Templeton. Memorials may be given to The Center for Hearing and Speech, 3636 West Dallas, Houston, Texas 77019 in honor of his granddaughter, Tiffany Grace. The family of Travis wishes to extend our sincere thanks to Dr. Melnyk, Dr. Robinson and the nurses and doctors at Hendrick Medical Center as well as Dr. Nastoupil, Dr. Samaniego, Dr. Nates and the nurses and doctors at the MD Anderson Lymphoma Center/ICU in Houston.